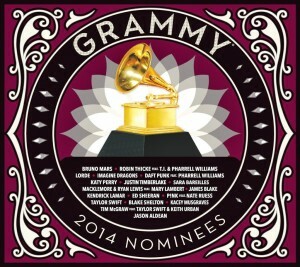 Warner Music has today revealed the all-important contents of the forthcoming 2014 edition of the Grammy Nominees album. Featuring a swag of talent up for gongs later this month, the album will be released in Australia both physically and digitally, albeit on different dates. Bruno Mars kicks off proceedings with his single ‘Locked Out Of Heaven’, which has been nominated for both Record Of The Year and Song Of The Year. Battling it out for the Record Of The Year will be Robin Thicke’s all-conquering ‘Blurred Lines’, along with Lorde’s ‘Royals’, Imagine Dragons’ ‘Radioactive’ and Daft Punk’s ‘Get Lucky’. There’s a number of Album Of The Year highlights including Sara Bareilles’ brilliant ‘Brave’ and Macklemore & Lewis’ ‘Same Love’. P!nk, Taylor Swift, Ed Sheeran, James Blake, Katy Perry and Justin Timberlake are also featured with their respective big hits in the past 12 months. 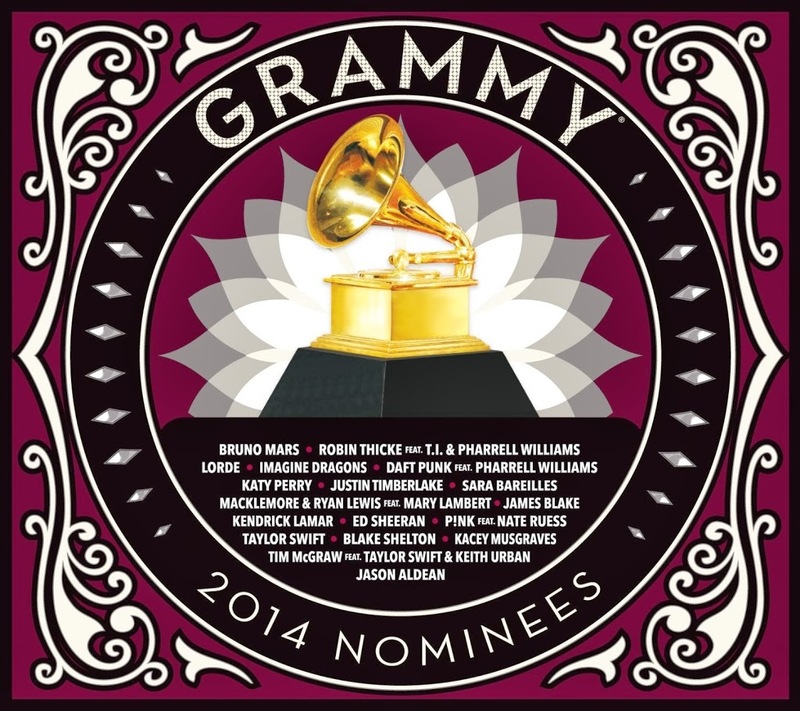 The 2014 Grammy Nominees album will be released in Australia digitally on Friday January 17 and physically on Friday January 24.